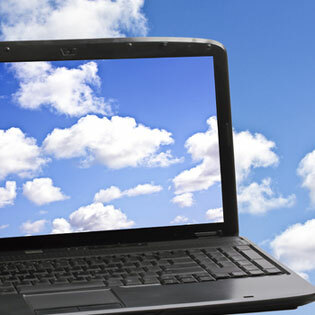 Cloud computing is still a topic of debate in law firms. That’s because there is still debate about the levels of security inherent in storing data on the Internet. This debate occurs, despite the fact that most companies today have placed at least some of their crucial business functions in the cloud. From email to using SaaS (software as a service), law firms have also begun a mass cloud migration. This article looks at the benefits and risks of cloud computing for law firms. First, you must understand that increasingly, everyone is moving to cloud computing. According to Gartner, cloud computing is going to increase another 18% in 2017, with global sales of $246 billion. While we’re not suggesting you follow lemming-like into the cloud, we are recommending it as a way to keep your client’s data more secure – and not less. That’s because cloud computing providers encrypt your data as it migrates to off site server farms, keeping it encrypted while it’s stored. That’s why banks and hospitals now trust their data to the big cloud providers; these businesses simply do not have the internal IT resources devoted exclusively to securing data. Most offices that have an IT team do not have resources dedicated exclusively to the security of your networks. In fact, the big Internet cloud computing providers have hundreds of security experts with software intrusion detection along with redundant hardware should a server fail. The truth is that even the largest law firms aren’t set up to handle security as effectively as Microsoft or any of the other cloud computing providers. One last thing to consider is that hackers are continually searching for ways to get to your data. If you don’t stay on top of the latest security patches to stop these attempts, you will quickly escalate your risk. All you need is one employee to open a phishing email and a virus could be unleashed that locks your data. In the cloud, security updates are occurring constantly as the threats evolve. The biggest cloud computing benefits include the easy access that it brings to our work. Having a Wi-Fi signal means you can work on a case from anywhere, anytime. The services you use in the cloud are chiefly characterized by easy set up and ease of use. Unlike on-premise platforms that are installed at your office, there is no waiting for installation; with the cloud, you subscribe and dial in quickly. Cloud computing also offers flexibility in its ability to scale to your business. Cloud computing models use a subscription model, which can be upgraded as your business grows. Set up on these models is extremely simple; you just dial in. As you consider cloud computing for your firm, there are also options related to how you use the pipe itself. There are private, public, and hybrid cloud computing models to consider. In addition, you will need to consider options related to additional security, including the creation of disaster recovery plans. If your firm would like to discuss cloud computing considerations for your business, contact us for a complimentary consultation.